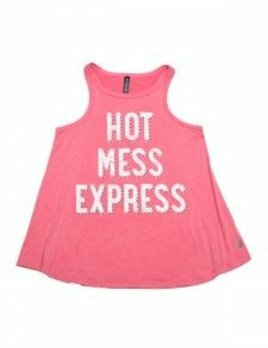 The tank you want to wear every day! It’s soft, stylish, and simple. You’re welcome. 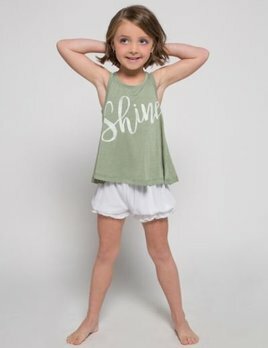 Cute and stylish racer back tank. 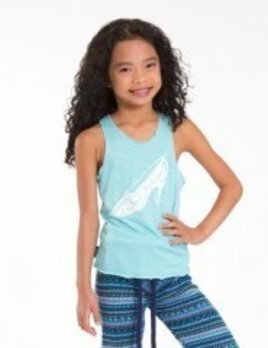 Sugar and Bruno youth tank. Sleeveless and collarless. 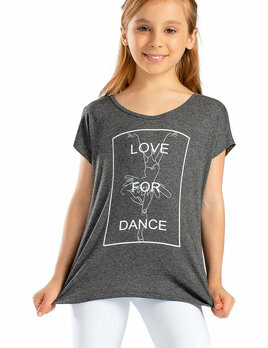 This loose fit cropped tank top features a stylish printed front dancer. The draped cross back creates a keyhole design. This daisy mesh racerback tank features overlapping back panels that open in the back. Lightweight and flowy, this is a top you will want to wear everywhere. Super soft racer tank LC196T with mesh paneled straps and an open back. Great for class or working out! 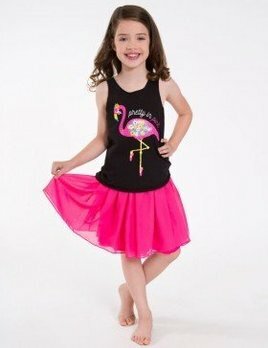 Sugar and Bruno Racerback tank is sleeveless, and collarless, with a flamingo front and center!